2008 Vanguard Cadets member Tyler McMahon submitted this photo and caption. 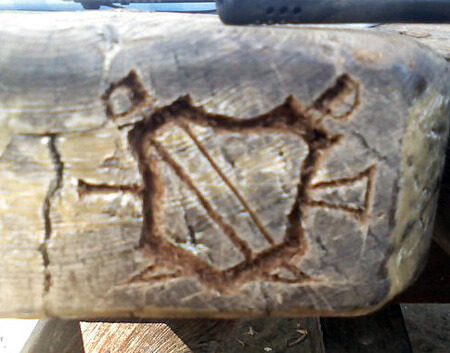 I found this carving of the Santa Clara Vanguard logo when I went camping at Leo Carrillo State Beach in California after this year's World Championships. It was cool to see that another Santa Clara fan had been there.